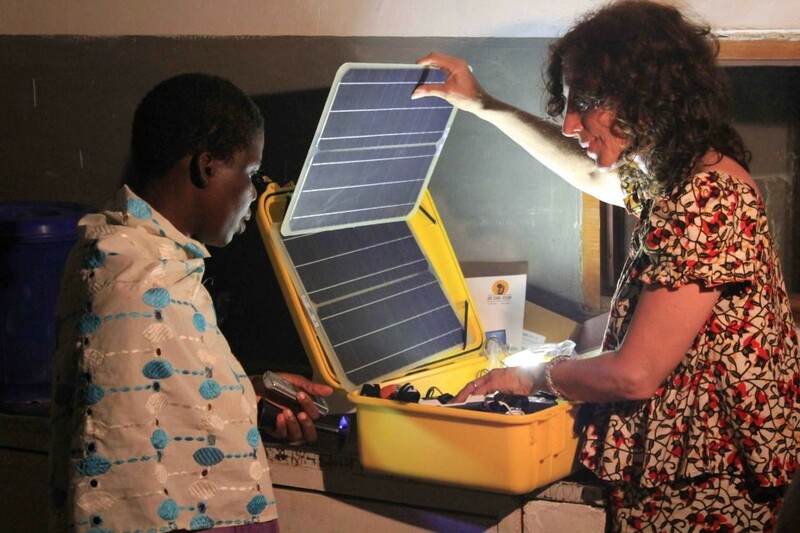 Fourth in the series is Laura Stachel, co-founder of We Care Solar, which designs portable “solar suitcases” that power lighting and medical devices in low-resource areas without reliable electricity. After working as an obstetrician for years in private practice, I began studying public health. As a public health researcher studying ways to lower maternal mortality, I went to observe care in a Nigerian hospital in 2008. I was shocked that the hospital had sporadic power, and had no lights or power for 12 hours a day. My husband designed a solar electric system for the hospital and mortality rates decreased. Many clinics began asking for solar power and we created a suitcase-sized solution that could be transported to any clinic in need of reliable electricity. We started as volunteers and eventually created a non-profit business to allow our solar solution to scale. What struggles have you faced being a female entrepreneur? I don’t believe I have ever been held back because of being female. My challenges were more related to being inexperienced in business, including non-profits. I was passionate about improving maternal health care, and wanting to ensure that developing world health centers have reliable sources of power, but I had no experience in manufacturing, supply chains, logistics, international programming and management. I needed to seek mentors who could provide support and create a team that could complement my skills in public health. Follow your dream! There are so many exciting ways to develop your skills and make a meaningful contribution to the world. If you can identify a solution to one of the problems in the world, find a team of people who can help you fulfill your dreams. You don’t need to have all the answers at the start or come up with a master plan. You just need to find something that you can feel passionate about. If you can solve one tiny part of a problem, it will start you on a path and allow you to face new challenges you can solve. Solving problems is deeply satisfying and with lot of persistence and hard work, you can have one of the most gratifying jobs in the world. What has been the most gratifying part of this work for you personally? I have loved meeting health providers in diverse communities in the world, learning about their lives and finding ways to support the work they are doing. I am so inspired by the courageous people I have met: midwives working in the most remote villages of the world who show up night after night to provide skilled care to mothers and newborns, even when they don’t have something as fundamental as lighting and electricity. They tell me that their health centers are transformed when we provide solar lighting and power. I feel an important bond with these health providers. 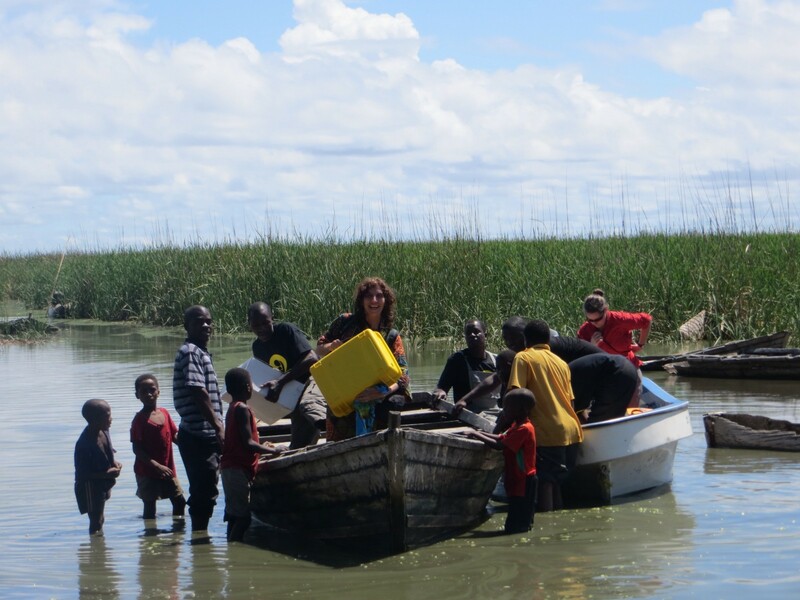 This work has enabled us to catalyze an international movement around sustainable energy for health care. There are hundreds of thousands of health facilities in need of reliable electricity, and I am grateful to be a part of a coalition that is working to address this global problem. USAID can help support entrepreneurs by continuing to support opportunities for skills development, funding and ongoing mentorship. Social entrepreneurship accelerators are an incredible resource for new entrepreneurs, such as the SEAD program at Duke. New entrepreneurs need to understand how to create a business model, where to go for funding and how to build sustainable programs. Capacity-building grants for social entrepreneurs would also be very helpful in this sector.